It's SERIOUSLY hard not to love SosBolz! 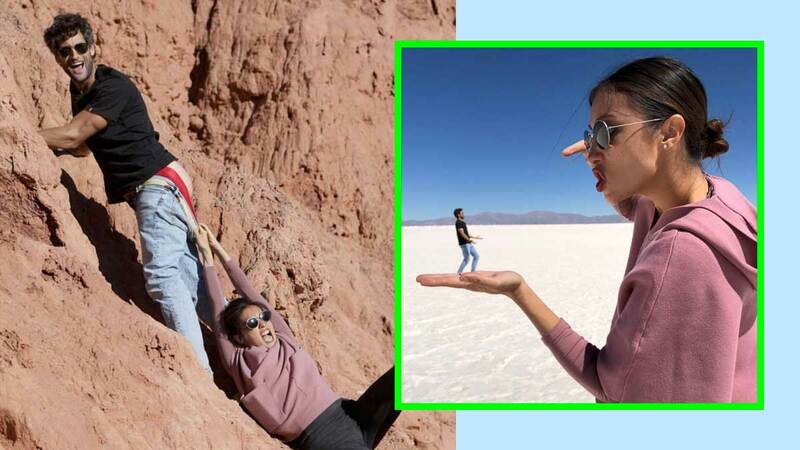 Solenn Heussaff and "bullied" husband Nico Bolzico are currently in Argentina and as expected, they've got the most hilarious photos to share with us! Nico's captions and "wifezilla" references make it so hard to keep our eyes off his IG feed. When your wife wants you to post something, you post it. "Babe, please post that picture, I look so cute." Here's an "accurate" depiction of Solenn whenever she's hungry. Nico modified the motto "Happy wife, Happy life" and made it "Gutom na Wife, Patay na Life." WHOA. Normal couples don't hike like this. Nico tried to make Solenn jealous by flirting with a llama! The poor llama was having none of it, though. And Nico learned that you should never try to prove to your wife that you still have "it."